What a feat of engineering Fallingwater was….it’s always good to see photos of great architecture. Ah… brings back great memories. Amazing built on top of bear run, not a view of it. It is quite an amazing house> I love the story of how he quickly did the renderings and design of it, only hours before the kauffmans arrived at Taliesen East to see his plans. On each trip to the US, my wife and I try to take in a Wright design. Thank you for commenting with such interesting tidbits! 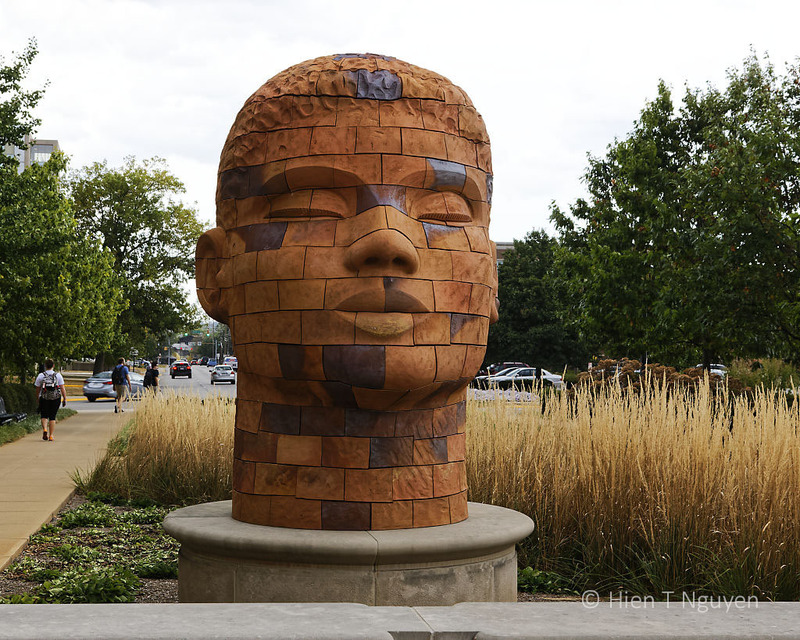 The sculptures are next to the Visual and Performing Arts Building. 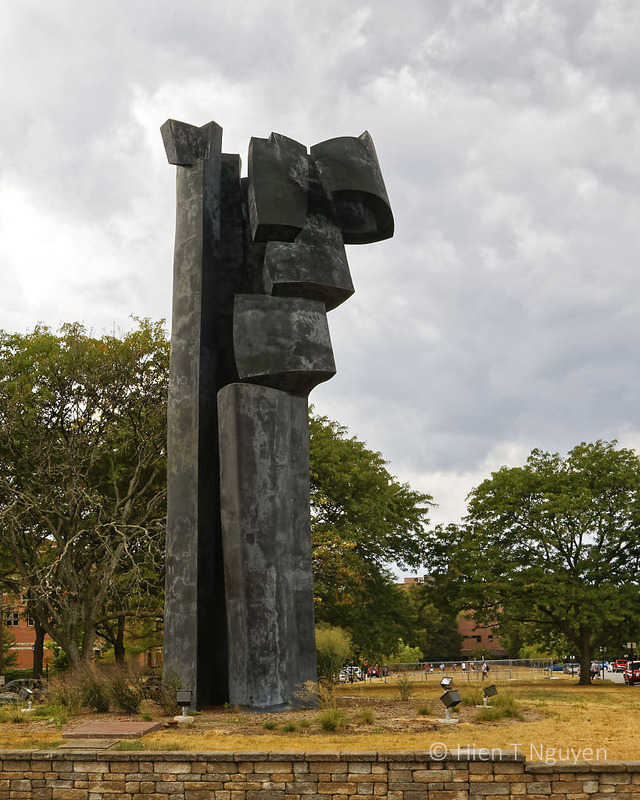 Maybe next time you visit Purdue, you can go see them there. Great photos. What a beautiful house. Does someone live in it? Fallingwater is like a museum now. The Kaufmann family, who were the original owners, donated to the public in 1963. Great photos! I love artistic pieces! Fallingwater… brings back a lot of memories. My husband and I were talking about how we would like to revisit many places we had been before to take or retake photos. Back then I didn’t know anything about photographing and I was happy shooting with my tiny point-and-shoot. I like to have another chance… but there are just too many places. Still, try to come if you can. 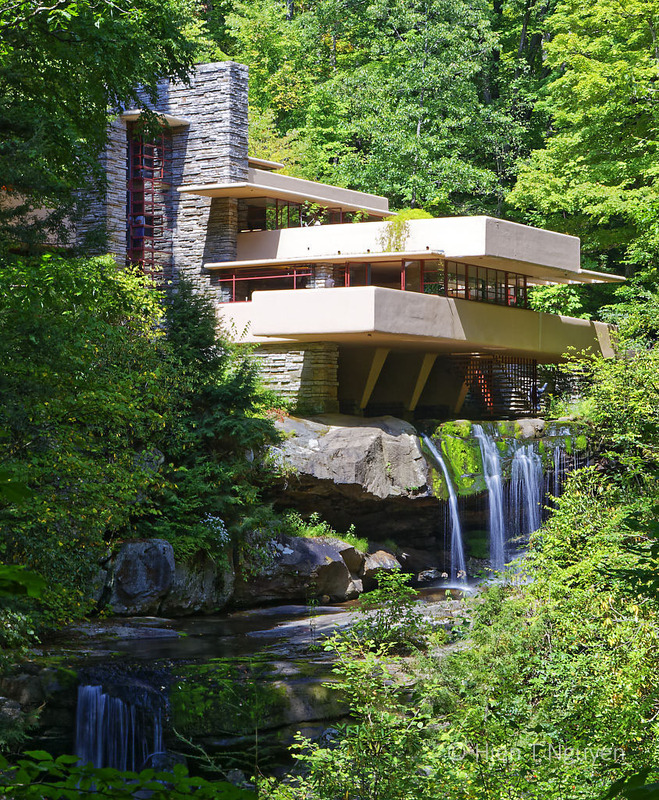 There are many places you can visit between your home state and Fallingwater. You visited on an overcast day, good for photography. You are right. When I got there the sun was shining, but clouds started arriving and I had to hurry to take all the shots I wanted. Great photos! Love the Brickhead. Art is such a treat to enjoy! Great story indeed! Thank you!